The longest wooden building in the world | Study with us in paradise! Do you know the longest river in the world? Yes, it is the Nile. And do you know the tallest mountain in the world? Yes, you’re right: it is Everest. Well, how about this: do you know what is the longest wooden building in the world? It is “Jong-myo” Shrine. To be exact, Jong-myo is the world’s longest ‘single wooden’ building, and its length measures 109 meters. 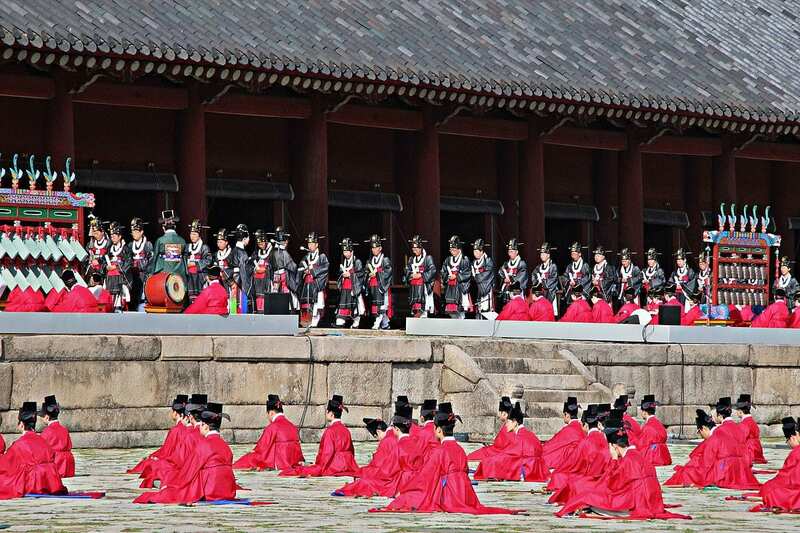 Jong-myo is the royal Confucian shrine and it was made for Jo-seon Dynasty’s kings and queens in 14th century. 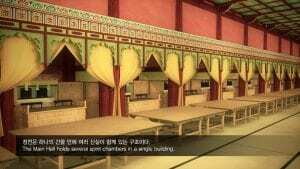 There are 19 memorial tablets of kings and 30 of their queens. Each memorial tablet is very simple and plain in design. 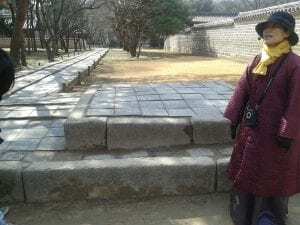 Only two kings’ and their queens memorial tablets aren’t enshrined there, because they were deposed, and not recognized as kings during the Jo-seon Dynasty. I went to Jong-myo in February 2015. 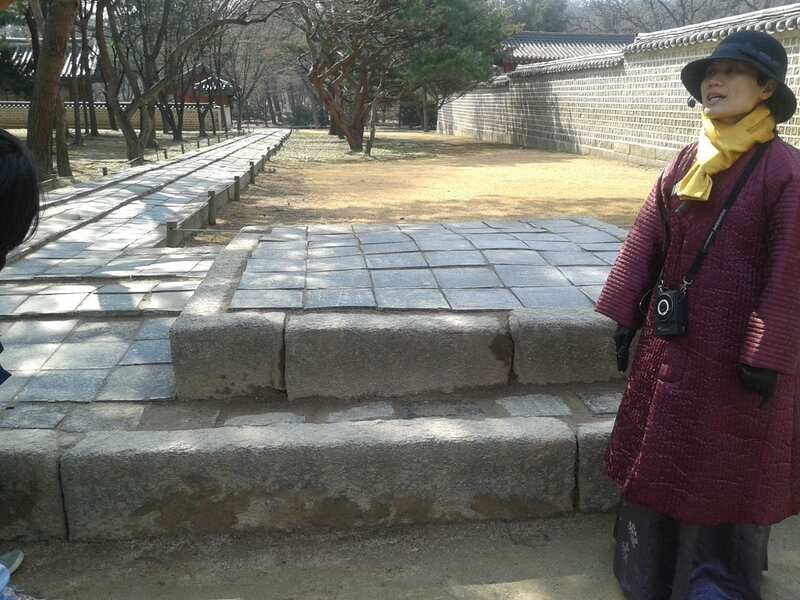 At that time, a guide dressed in han-bok (traditional Korean clothes) and told me about the history of the place. 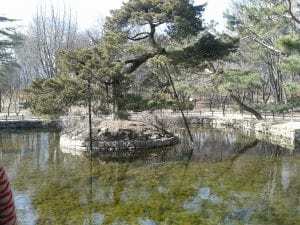 As soon as I entered Jong-myo, I saw a small pond. The pond was square, and there was a round island with the juniper inside. There were no fish or plants in the pond because Jong-myo is a place to honor the dead. Also, the juniper is the tree that makes incense for the ancestral rites, which actually reminded me that I was at a shrine. When I passed through the pond and went inside, I found a place where the king and his prince used to prepare the ancestral rites. The king washed his body and mind there. In there, I could see a rock that the king and his prince had to climb up to tidy up their clothes. The building which houses kings’ and their queen memorial tablets were beyond there. 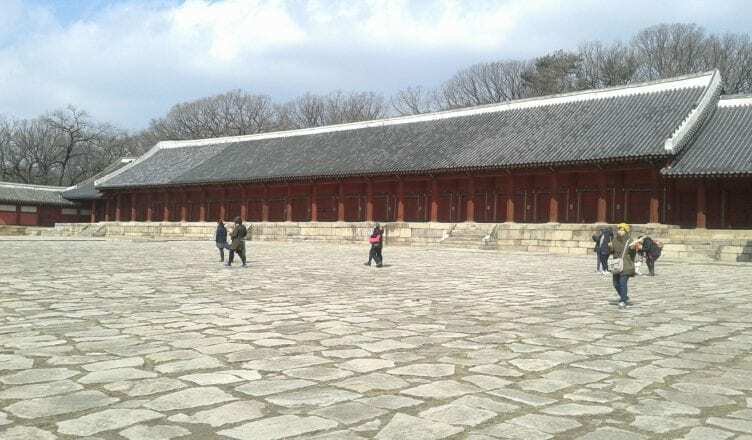 It is the longest wooden building in the world but it wasn’t that long from the start. It was rebuilt in 1608, then expanded three times. I could see the extension when I saw its roof. Still, it couldn’t keep all the kings’ and queens memorial tablets, so some were kept in the building beyond it. 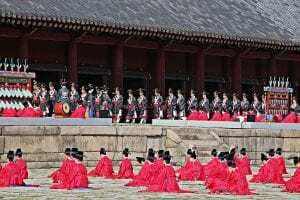 “Jong-myo Jerye-ak(The Royal Ancestral Ritual in the Jongmyo Shrine and its Music)” often plays in Jong-myo on a particular day. I wanted to listen to it, but I felt sorry that I couldn’t when I visited the place. If given a chance, I would like to listen to it there. Shall you go with me? Tip : If you want to look around Jong-myo by yourself, you should go there every Saturday (Not free) or the last Wednesday of every month (Free). Hi, Suu. I’m Sei. How is your trip? I am commenting on your blog posts because I’m interested in the culture and traditions of your country. It’s my first time to know Jong-myo is the longest wooden building. It’s nice because normally if we enter buildings which have old culture, we have to pay money but not in this case. I see in the pictures, there are not many people so I can go around so slowly. I think if you see my comment, I’ll be graduated from CCEB.